So what are these things? 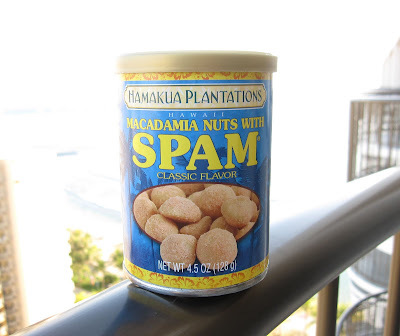 Spam-coated macadamias? Is that a tasty combo? Doesn't seem like it would be. It's not coated with Spam, but coated with the same seasonings that gives Spam it's unique flavor. Spam and nuts.. yeah okey dokey! You are right only in Hawaii. It's on their website now. Excellent work. Both in substance that on your blog. Congratulations to your team.